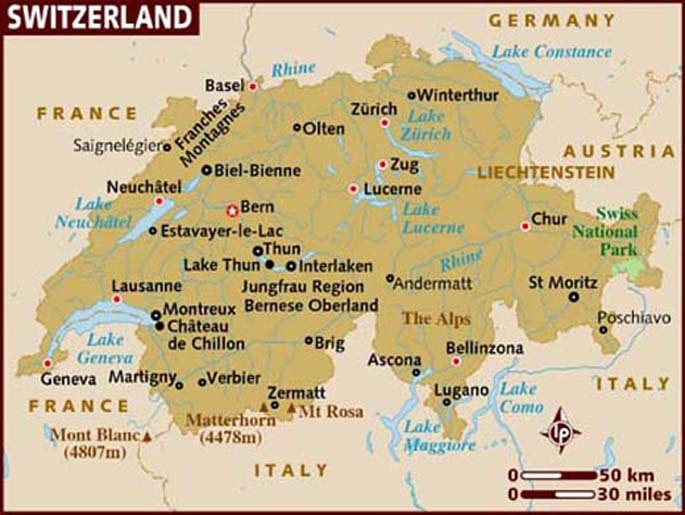 Before you book or travel orientate yourself with our Map of Switzerland. This can be a useful first step to finding great holiday locations. We have loaded all accommodation options onto this Switzerland Map to let you compare the locations of our local hotels and other accommodation venues. Compare the hotels positioning to the Switzerland attractions you may wish to visit and then decide on where to stay.